The first flag of Czechoslovakia was white over red, and those colors are the heraldic colors of Bohemia. 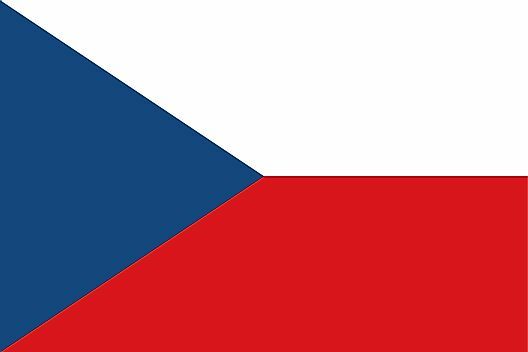 The blue triangle was added to the flag in an effort to distinguish it from the Poland flag, and blue is said to represent the State of Moravia. 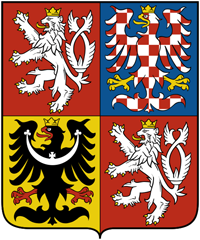 The current coat of arms of the Czech Republic represents three historical regions: Bohemia (silver, double-tailed lion against red), Moravia (red and silver checkered eagle against blue) and Silesia (black eagle against yellow).